Host an enchanted evening with the twinkling Stardust creamer. Designer Monique Lhuillier styles timeless bone china with cool pewter and glittering platinum for a look that's fun but graceful, too. 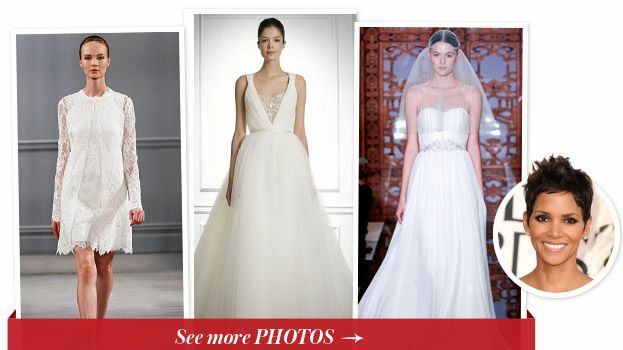 From Monique Lhuillier to Carolina Herrera, we rounded up our top 7 bridal gown picks for Halle Berry, the fashionable mama-to-be.